Vincom Landmark 81, a massive skyscraper project in Ho Chi Minh City's lavish Vinhomes Central Park represents a collaboration between architects and engineers at Atkins and Arup. Developers at Vietnam-based Vingroup recently broke ground on the complex and when it's completed, the tower will be Vietnam's tallest at over 1,500 feet tall Located on the banks of the Saigon River, the 81-story, mixed-used development will feature a luxury shopping center at the base of the tower, residential apartments, a hotel, and a few rooftop gardens. 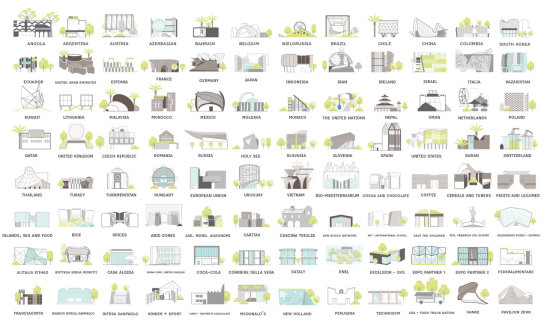 Its design, as stated on the Atkins website, "features a modern and unusual architecture design that symbolises the diversity and fast-emergence of Ho Chi Minh City." The varied heights of the structure's numerous masses and its glistering glass facade give the tower an icicle effect and allow the building to taper as it rises into the sky. At the top of each setback mass, a rooftop outdoor terrace will provide sweeping views of the surrounding city. 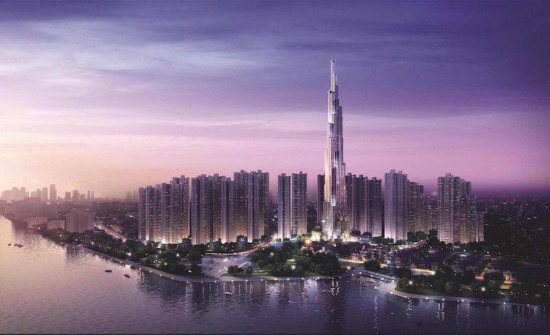 Landmark 81, according to Atkins, is expected to be complete in 2017. "Our challenge was to create a unique and dynamic landmark tower design to support Vingroup's vision for a high-end mixed-use development," said Bertil de Kleynen, director of architecture and landscape for Atkins in the Asia Pacific region in a recent article. "The tower is integrated into the public realm that addresses sustainable design challenges at various interfaces of the project."